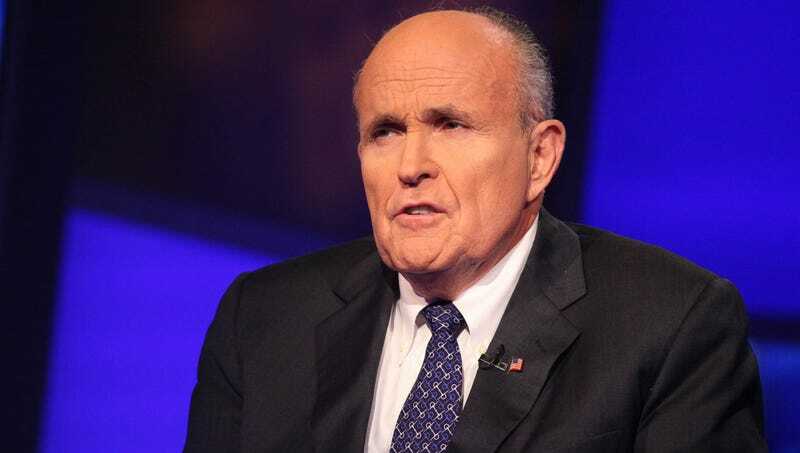 NEW YORK—Describing the pathetic manner in which the North Korean dictator debased himself while pleading for a meeting with President Trump, Rudy Giuliani claimed Thursday that Kim Jong-un begged like a has-been-politician-turned-hack-attorney trying to get a job at the White House. “He groveled like a washed-up former mayor who hasn’t been relevant since the early 2000s, begging on his knees for a mid-level position in the Justice Department,” said Giuliani, adding that the pathetic doofus demonstrated a level of self-respect on par with a failed presidential candidate who built his entire career on being in the right place at the right time, babbling incoherently about the relationship between a reality TV star and a pornographic actress. “I kid you not, this guy was prepared to bow down and kiss Trump’s boots like some cigar-chomping numbskull who actually thought he had a chance at being Attorney General. I mean, the look on his face—it was like a guy who just found out he married his second cousin or got 9 percent of the vote in a Republican primary—just a total, irredeemable jackass.” At press time, Giuliani was forced to walk back his comments by Trump’s actual lawyer, Emmet Flood.